I'm excited! I'm jazzed! 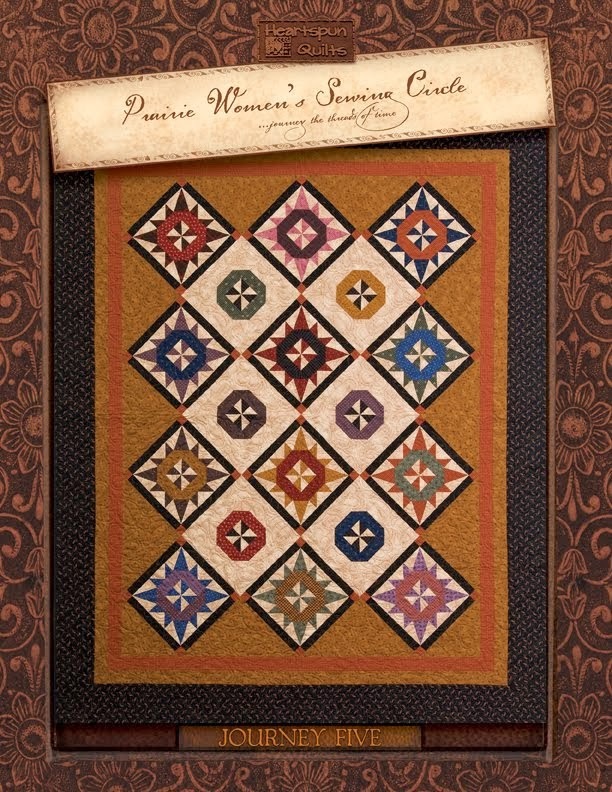 I'm thrilled and delighted to finally show you my brand new collection called Pam's Prairie Shirtings! I adore shirtings and there will never, ever be enough of them. Can you tell how happy I am to bring you 12 new prints? 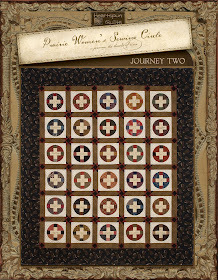 The 12 new Shirtings are a partner to another new collection called Pam's Prairie Basics. I will show you those very soon as well. The wonderful thing is that both the Shirtings and the Basics fabrics will be available for an extended time - much longer than a normal collection. Yay! 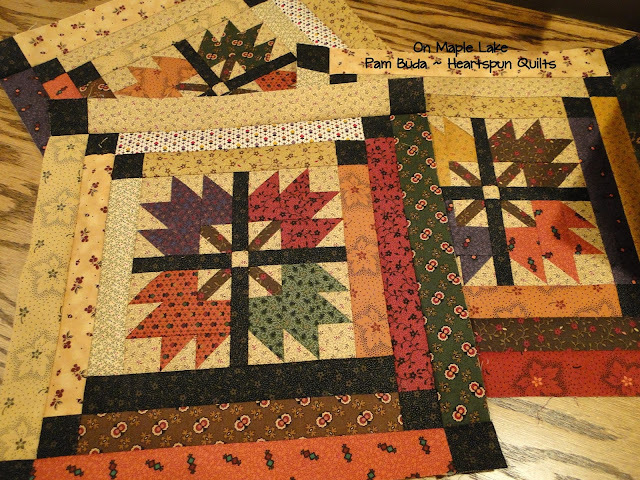 Right now, I'm crazy busy getting 9 new quilts ready for Spring Quilt Market. Writing patterns in the morning, and checking and double checking the instructions, sewing in the afternoon, and binding in the evening. 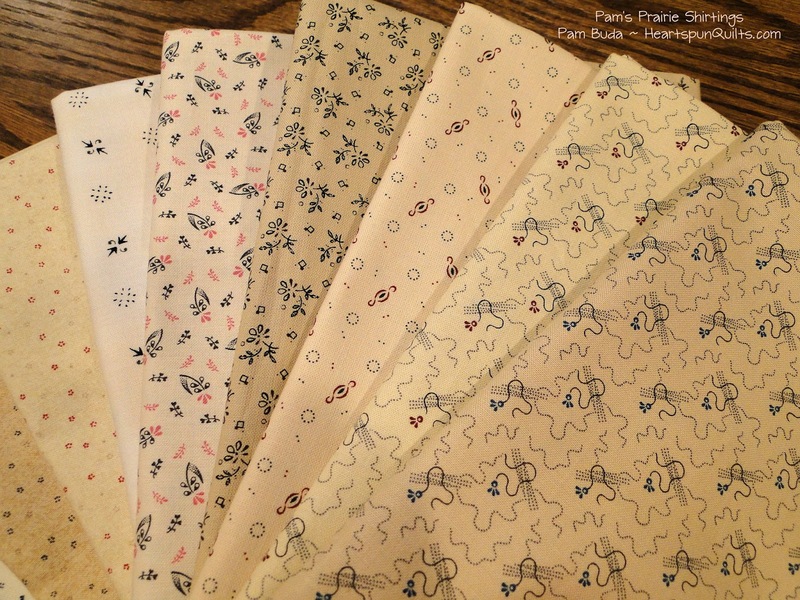 Had to find some time to update my blog and share the news about Prairie Shirtings and Basics....all coming very soon to your local quilt shop! 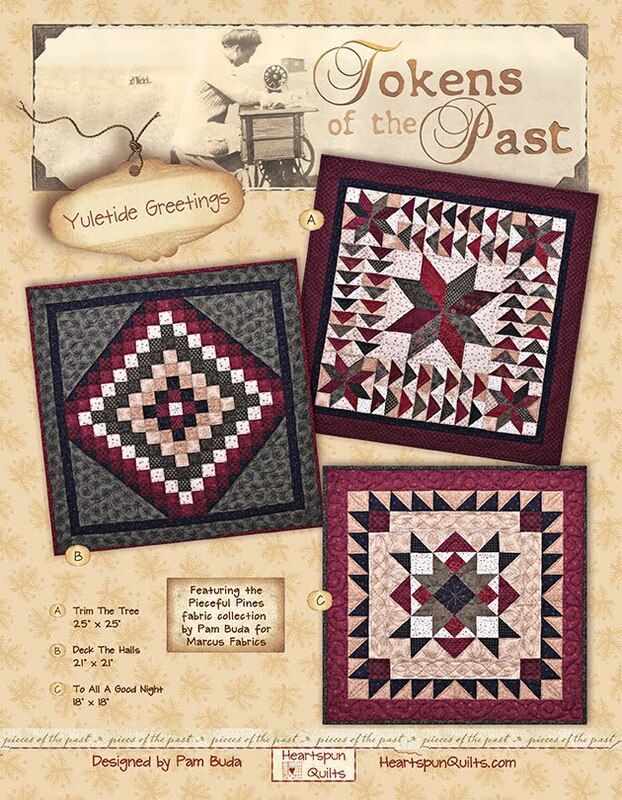 They were inspired by several trips to living history museums Dry Goods Mercantile stores. More on that in a future post. 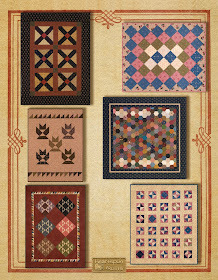 More news about the Shirtings & Basics collection, and the five new quilts I designed for them, along with new and close up photos of all of the quilts made from my new On Maple Lake fabric collection. 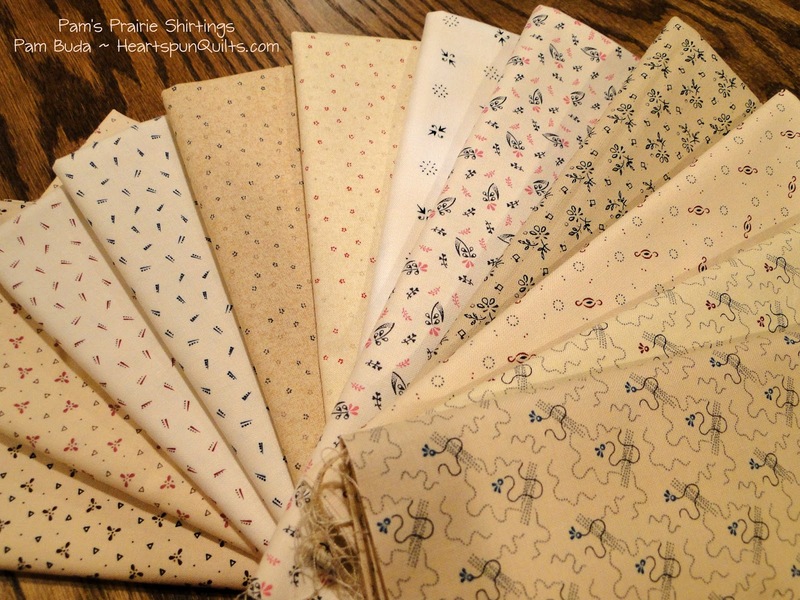 I haven't forgotten about my Pocket Patchwork Sew-Alongs. I really want to do another. My surgeries, and longer than anticipated recovery time, sure set me way back. But...just wanted you to know that I have not abandoned my sew-alongs. 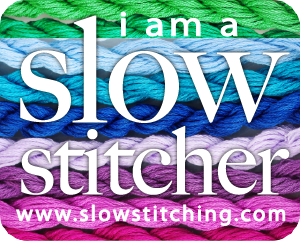 Hope you find a little time to spend with needle and thread today. Thank you so much to all 188 of you who left a comment to win a bunch of scraps. You will never know how much I value reading your comments and that you took the time to do so. 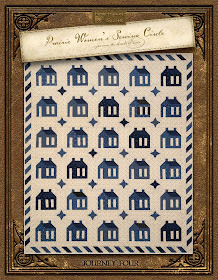 It was very enlightening to read how difficult it is for so many of you to get to see your favorite Civil War reproduction fabrics in your local shop. Still...it is so important to patronize your brick and mortar shops whenever possible as that's the only way they will keep being there for us in the future! Great to hear that you are on the mend and getting back to your normal life! 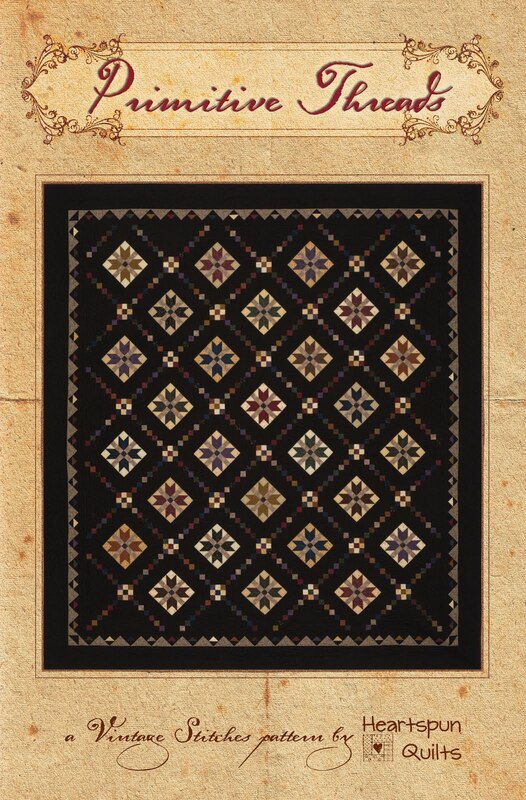 I live in an area where quilt shops are a couple hours away from me, so I do the most of my fabric shopping online. But many of the shops I've visited seem to have more brights than darks and I'm a dark girl! 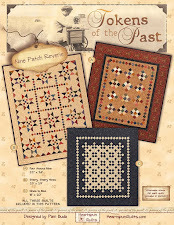 I'd love more reproduction fabrics...yours, Kim Diehl, KT, all of them. Thanks for this chance! 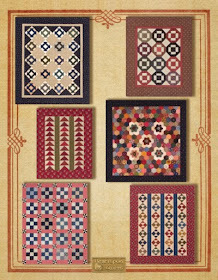 My local quilt shop carries some repro fabrics but to get a bigger selection I need to drive to one that is 100 miles away. I love your fabrics. I buy many different designers fabrics. I love the more traditional repros the best. 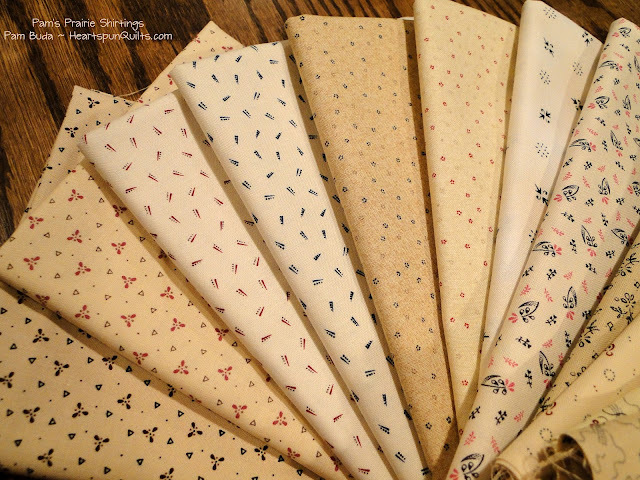 I would love to win some scrap fabrics. Yours are always amazing. Reproduction scraps fabric quilts are so fun to make. I love playing with scraps! As far as the local quilt shops stocking my favorite repro fabrics. There is only one that does and only side of a row. I wish there were more from any of the designers. Never a full line of any designer's fabric. 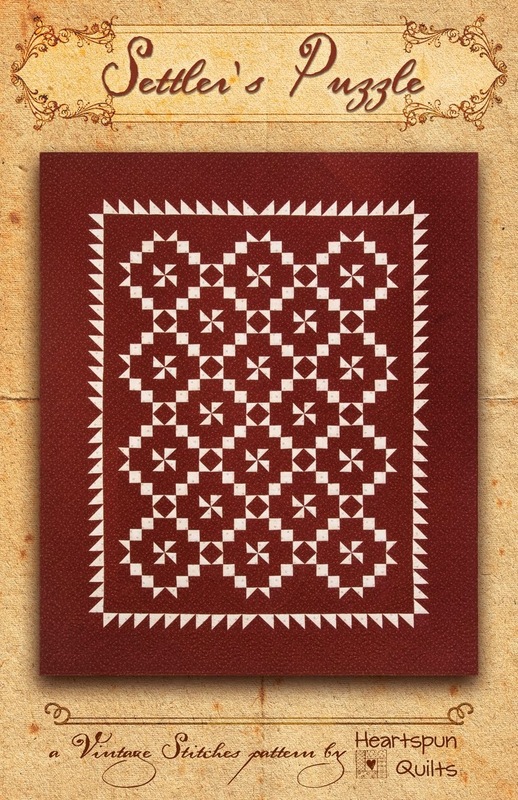 No fat quarter bundles, or fat eighths or layer cakes in the repro fabrics. Congratulations to the winners and thanks for participating. 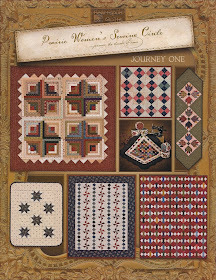 Please email me at Pam@HeartspunQuilts.com with your mailing address and I'll have those scraps on their way to you. You are cordially invited to sail with me on an awesome Civil War cruise in April, 2018!!! 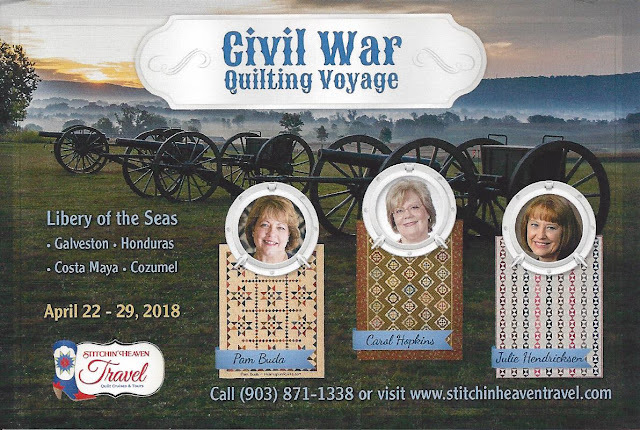 I am so, so, SO jazzed to say that two of my most favorite Civil War designer friends will be joining me....Julie Hendricksen, shop owner of JJ Stitches (Sun Prairie, WI)who is also a fabric designer for Wyndham, and Carol Hopkins, designer of Civil War Legacies patterns. 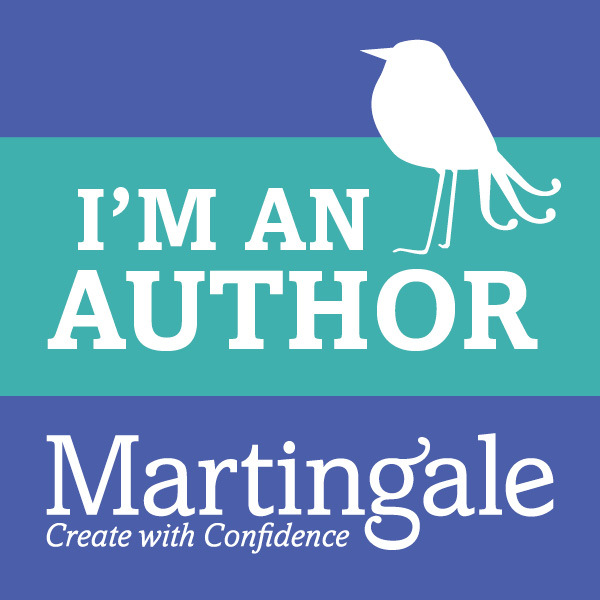 Both are also Martingale authors and extremely talented, fun women to be around. What a great time we will have. 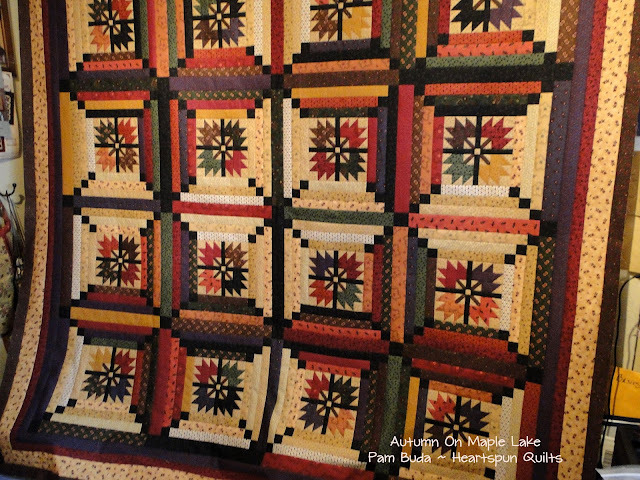 Take a look at the three quilt projects! Swoon...I wish I could take Julie and Carol's classes with you! Each one is Civil War, and each on is so different from one another. 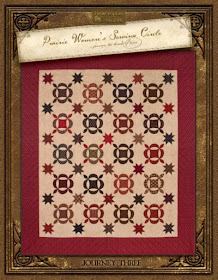 What a great addition to your Civil War Repro quilt collection they will be, and great fun, and memories to boot. We will be sailing Royal Carribbean's Liberty of the Seas to Galveston, Honduras, Cozumel and Costa Maya. I've never been to any of these destinations and am really looking forward to it. Click here for the link to check out all of the details about the teachers, projects, ship and ports. The folks at Stitchin' Heaven are our hosts and they've been doing quilting cruises for a very long time. We will all be in very good hands. Now that I'm feeling more my old self, and with Spring Quilt Market preparations in full swing, we've been doing a lot of cutting, sewing and scrap gathering. You know I don't want to hang onto all those scraps for myself. Nope....no way! I need to find a good home for four boxes chock full of a wide variety of scraps! 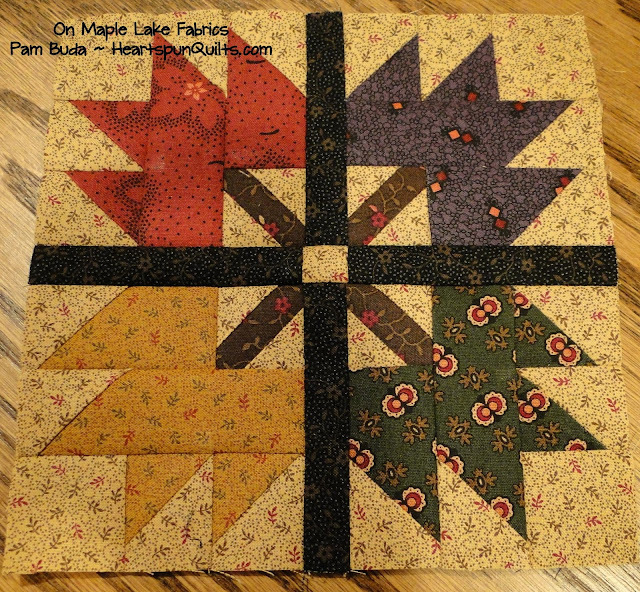 Debbie and I have complete four quilts, all using brand new fabrics from On Maple Lake. So...there are some Maple Lake scraps in each of the four boxes. 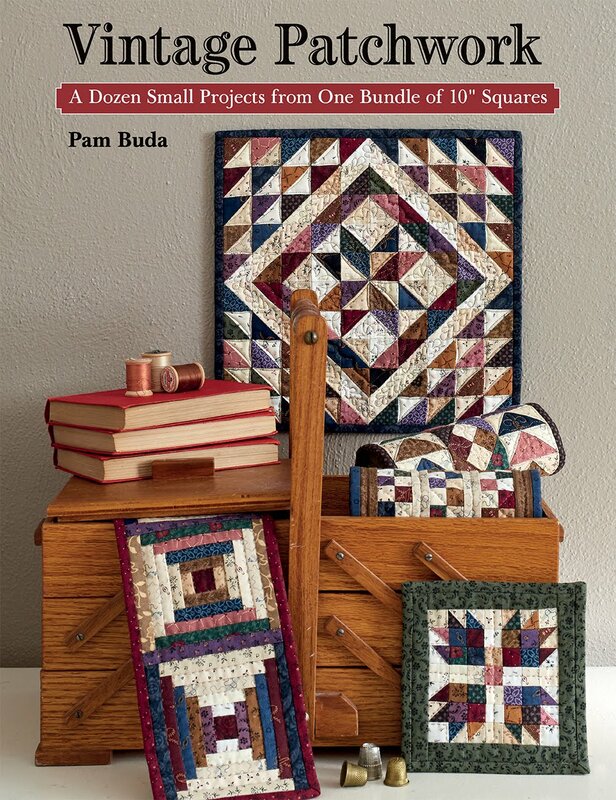 (It's not even in your local quilt shop yet, but it will be very soon!) 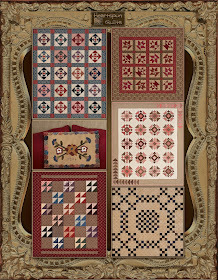 There are other Heartspun Quilts fabric collections in there, and I also purged some Civil War reproduction fabrics from my big scrap bin and passed those along, too. So that means there's a big mix of wonderful scraps waiting to be sent in the mail.....to YOU! 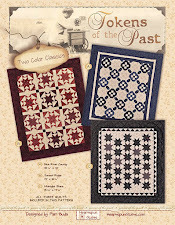 Does your quilt shop stock your favorite REPRO fabrics? If yes, share what DESIGNERS you prefer. If not, share what would be on your wish list. I'm sorry, but to be fair to everyone, I can not accept comments via email. Also, I regret not being able to ship the scraps outside of the US as shipping costs are just prohibitive for a giveaway like this. So, please help me out, and leave a comment for me by midnight Monday, March 20th, for a chance to win scrappy goodness. 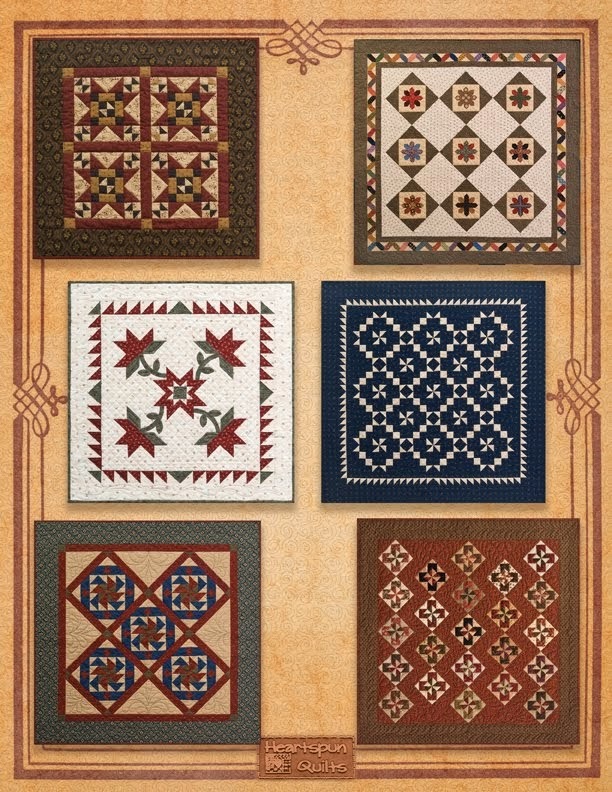 Click here to see all the On Maple Lake fabrics and be sure to look for them at your favorite local quilt shop in just a few weeks.